In an unprecedented speech at Tel Aviv’s Bar-Ilan University, Prime Minister Binyamin Netanyahu spoke those words. “The simple truth,” he added however, “is that the root of the conflict is the refusal to accept the Jewish people’s right to exist in its historic homeland. Whoever thinks that the enmity to Israel is the result of our occupying Judea and Samaria is confusing cause and effect.” He then enumerated instances of Arab belligerence against the Jews in the Land of Israel before 1967. “Judea and Samaria are not a foreign country for us. This is the land of our forefathers. Abraham, Isaac and Jacob. The right of the Jewish people over our country does not come from the suffering we have been through. Some say if it weren’t for the Holocaust there would be no State if Israel. But I say that if Israel had been established n time there would not have been a Holocaust,” Netanyahu said. Netanyahu reiterated Israel’s long standing desire for peace. A desire held by all Israelis since the founding of the nation in 1948. The prime minister said that he was willing to meet any Arab leader anywhere. The prime minister continued to speak of the heavy toll the ongoing conflict has taken, mentioning his being a bereaved brother. “I don’t want war. Nobody in Israel wants war,” he said to applause. “If the advantages of peace are so clear, we must ask – why is peace still far? What is perpetuating the conflict for over 60 years? We must reach the root of the struggle,” Netanyahu ascertained. “Let me use the most simple words – the root of the struggle is the refusal to recognize the Israel as the Jewish state. The initial Arab refusal was to a Jewish state in any location, before Israeli presence in the West Bank,” continued Netanyahu. “The closer we get to an agreement with the Palestinians, the further it is rejected. We tried a withdraw with an agreement, without one, a partial withdraw and offered a near-complete withdraw. We uprooted Jewish settlers from their homes, and got a barrage of missiles in return,” he said of the Gaza pullout. “Sadly, even the Palestinian moderates won’t say the most simple statement – Israel is the Jewish national state, and will remain such. “A public Palestinian recognition of Israel as a Jewish nation-state is a precondition for regional peace,” Netanyahu said. 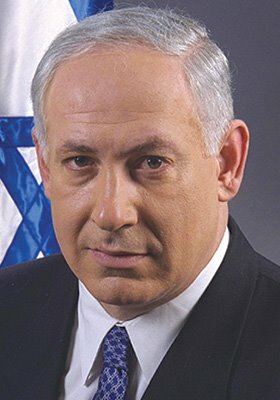 Did Netanyahu sell out? NO! He did not call for an freeze on Settlements, Jerusalem was to remain in Israeli hands, nor did he call for the ethnic cleansing of Jews from Judea and Samaria (The West Bank). 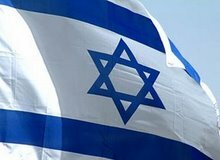 Recognize Israel as a Jewish Nation. No Law of Return for Palestinians. Jerusalem, the city of David would be always be part of Israel. The next round goes to the Palestinians, who if history is any indication of their intentions, will reject this out right. Now what will Obama do? Get a clue while they are free. It came to pass that on the 4th day of the month of June, the Anointed One journeyed to the land of the Pharaohs. In the city of Cairo, where no Pharaoh had ever walked, the Anointed One, spoke to the assembled at the Hall of Learning. I carry to you the goodwill of MY people of America and the peace of the Mosques of America: assalaamu alaykum. We in the West have kept the Muslim down in the gutter for too long. We have colonized your lands, stolen your property and kept you in ignorance. But I will CHANGE that. On 9/11 you attacked us, and we were angry. But that is now over. We can work together without us mentioning 9/11, all is forgiven. This CHANGE will not be easy. This CHANGE will not take place overnight. It will take a year or two, but I will bring CHANGE and HOPE to all the Muslim world. I tell you that I am a Christian, but MY father, grandfather and brother were all Muslims. I spent many years as a boy in a Muslim land. I worked with Muslims in Chicago. And I learned your history. How you developed Algebra (actually invented in India) , the Magnetic Compass (invented in China), pens and printing(invented in China), all the while bringing peace, prosperity, and harmony to the world ( as long as the Christians, Jews and Hindus paid a special tax and lived as second class citizens). Your level of medicine rivaled that of the modern world of today (that is if you like dipping fly wings into your tea and drinking it to cure disease). How you brought about the Renaissance and Enlightenment (both would have come earlier if Muslim armies hadn’t invaded Europe). I know that Muslims were fundamental to the establishment of the United States. That Muslims fought in our wars, served in government, stood for civil rights, started businesses, taught at our Universities, excelled in our sports arenas, won Nobel Prizes, built our tallest building, and lit the Olympic Torch (all within the last 50 years). We were first recognized by Morocco (that is after France, Great Britain, and Spain). You have a bad misconception of ME. MY America is Muslim friendly with a Mosque in every state and 1200 in the nation. We welcome Muslims with open arms. You are free to force your women to wear your burkas, insist on forcing Christians and Jews into a Dhimmi role, and kill your female relatives if they upset your honor. Just don’t show anti-Semitic pictures. Don’t yell your true feelings of hatred in the world. We are all humans. We must all respect that. I will bring a solution to the Palestinian problem. It is all the fault of the Israelis. They will do what I will say. There will be peace. For I will make Israel give the Palestinians everything that they want, and the Palestinians will not have to do anything. And if there isn’t peace, then I will blame the failure on the Israelis. I will allow Iran to have Nukes, and will make everyone give up theirs instead. That way the Muslim world can have as many Nukes they wish to force their will on others. I grant Freedom of Religion to all Muslims. The 7 million Muslims in America (There are no more than 3 million Muslims in America) have such freedom. That is why we welcome efforts like Saudi Arabian King Abdullah’s Interfaith dialogue (How many churches and synagogues are there in Saudi Arabia?) and Turkey’s leadership in the Alliance of Civilizations (As long as non-Muslims accept the Dhimmitude). The right of women to wear the hajib I give freely. You should educate them, but remember your faith does not allow them to be treated equally. I give you the gift of Democracy. But only the Democracy that you want. I urge you to treat your non-Muslims with dignity, but remember they are Dhimmis and you know the rights they are to have. And then He spoke from the Koran, He spoke the words of peace and understanding. The assembled in the Hall of Learning rose in great cheers. For He will give them the world on a platter and they have to do almost nothing. No more cries of: “Death to Israel!” No more whispers and planning. All they have to do is sit back and let it happen. Filed under: Barack Hussein Obama, Egypt, Israel, Muslims |	Comments Off on Homily To The Muslims. Taxes to go up 10%! For years I have heard of the proposal to impose a Value Added Tax (VAT) on the American people. While this sounds logical, it is fraught with many dangers. A Value Added Tax is a consumption tax levied on value added. In contrast to sales tax, VAT is neutral with respect to the number of passages that there are between the producer and the final consumer; where sales tax is levied on total value at each stage, the result is a cascade (downstream taxes levied on upstream taxes). A VAT is an indirect tax, in that the tax is collected from someone who does not bear the entire cost of the tax. Personal end-consumers of products and services cannot recover VAT on purchases, but businesses are able to recover VAT on the materials and services that they buy to make further supplies or services directly or indirectly sold to end-users. In this way, the total tax levied at each stage in the economic chain of supply is a constant fraction of the value added by a business to its products, and most of the cost of collecting the tax is borne by business, rather than by the state. VAT was invented because very high sales taxes and tariffs encourage cheating and smuggling. It has been criticized on the grounds that (like other consumption taxes) it is a regressive tax. Under the VAT everything is taxed. Everything. There is a tax on goods and services, but also VAT on your utilities, food, entertainment (movies, shows, etc…), your mortgage or rent is taxed, your gas will be taxed, doctors visits, I believe that you get the point. The groups that get hurt the most from a VAT are the ones who can least afford to pay it: The Poor and Middle Class. As lawmakers toy with the idea of an across-the-board sales tax on just about everything, tax reform advocates are starting to drum up opposition with the same fervor they employed during last month’s anti-tax tea parties. The idea of a national sales tax was once unlikely. But now that the federal government is doling out billions in stimulus spending and bailouts, and looking for billions more for health care reform, the prospect could be gaining some traction. The frenzy over the idea kicked up after a Washington Post article Wednesday reported that Congress is starting to pay closer attention to this largely academic proposal and that the Obama administration, though shushing speculation, is soliciting advise from supporters of the idea. “It should certainly raise alarm bells that they think they can inject it into the debate,” said Phil Kerpen, policy director at Americans for Prosperity. The value-added tax, or VAT, as it is called, amounts to a tax-on-everything — or TOE, for the acronym-inclined. It’s a tax on goods that’s applied in pieces throughout the chain of production and distribution and results in an increase in the cost of virtually everything you buy. Aside from raising revenue for the government, the move could have a number of things going for it, say proponents — it’s tough to evade, it’s simple by comparison to the income tax and it encourages saving. Some conservatives have called for something similar — the so-called Fair Tax — that would replace the federal income tax system with a national retail sales tax. But critics of the VAT say it would almost certainly not be implemented as a replacement for the income tax system — rather, it would be just another tax, on top of the income tax, the state sales tax and everything else. Every nation that has a Value Added Tax has no Income Taxes. The VAT replaces the Income Tax. Except for the US, here it would be in addition to the Income Tax. A 10% tax hike would go into effect. View a list of nations with a VAT here. So much for promises of no tax hikes. Here comes the biggest tax increase in the last 60 years. Hold on to your wallets, for the US will get a Value Added Tax on top of our Income Taxes. Filed under: Barack Hussein Obama, Taxes, Tea Parties, US Congress, Value Added Tax |	Comments Off on Taxes to go up 10%! A few days ago I was relaxing in my first-floor apartment in Sderot when there was a loud knock on my door. The government contractor tasked with building private bomb shelters attached to each unit in the building came to check my apartment. All across the city, private bomb shelters are popping up like spring flowers and are being utilized as the Color Red alarms continue to sound. As Netanyahu gears up for his monumental visit to discuss the Middle East peace process with US President Barack Obama, are international leaders aware that terrorist rocket fire against Israeli civilians has not stopped? As southern Israel prepares for the next barrage of rockets, the international media and leaders hype this visit to be of vital importance to a peace agreement. On May 4th The New York Times ran an article titled “Addressing US, Hamas Says it Grounded Rockets,” noting that only six rockets were fired at Israel in April. On May 5th Ynetnews ran an article titled “Dramatic Drop in Qassam Fire,” reporting that only 8 rockets were fired in April. However, with a simple phone call to the Israel Defense Forces Spokesperson, the only in-the-field source, I was given the official military count of 23 rockets and 3 mortar shells for the month of April, significantly more than what was reported in the media. The world is being led to believe that the rockets have stopped when in fact there have been over 200 rockets since the ceasefire began on January 18th. Working in Sderot for the Sderot Media Center, I knew that there were more than eight rockets last month. I began to track down the statistics and their sources. The reporter at Ynetnews cited the Shin Bet as its source. So why is there is such a discrepancy between what I and the army see on the ground and report day-to-day, and what some Israeli officials and the news media are reporting to the world? Are Israeli and international politicians suggesting that Operation Cast Lead completely thwarted the threat from Hamas and Iran in the Gaza Strip? Meanwhile, Palestinian President Mahmoud Abbas, the leader of the so-called moderate Fatah, which proudly paint their rockets yellow to distinguish them from Hamas’ red and green, announced in the last week of April that he would never recognize Israel as a Jewish State. With such a definitive proclamation against a peaceful solution, with whom are Israeli and international leaders pushing the Jewish State to come to an agreement? The rockets fired at Israeli citizens from the Gaza Strip by the Iranian-funded terrorist organization Hamas have not stopped. International leaders and the news media need to stop presenting statistics that foment this fallacy in the effort to force an agreement that will not bring shalom or salaam, but rather, be a mere piece of paper. All one needs to do is come to my first floor apartment in Sderot to be awakened to this continued reality of rockets. Only a few rockets, as if that makes it better. Perhaps the editors of the New York Times, Huffington Post or Daily Kos wouldn’t mind a few rockets being fired into their homes on a daily basis. How long would it be before they raised their voices in protest against such action? A day? A week? A month? A year? 5 years? 8 years? Especially if the local authorities did nothing to stop the rocket attacks. Then they would understand the fustration that the citizens of Sderot feel. A Qassam rocket fired from Gaza slammed between two Sderot homes around 5:30 pm on Tuesday, May 19. 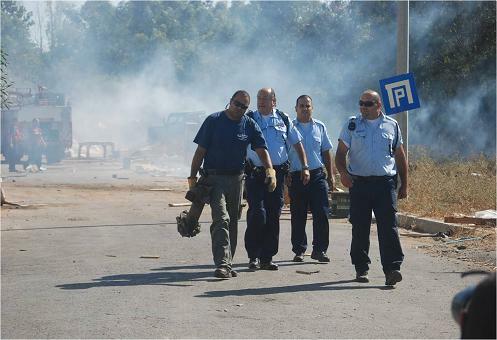 The Tzeva Adom, Color Red siren blared twice in the city sending residents fleeing to area bomb shelters. After the second Color Red siren, an unusually loud explosion sounded throughout the city. The sound of the rocket explosion shocked no one more than Ilan Dahan. Ilan was sleeping when the Qassam rocket crashed into his backyard right outside his bedroom. Shula Dahan, owner of damaged home, on the phone. “I slept right through the Color Red siren,” said Ilan. Ilan, dazed and shocked, guides us to his bedroom. His bed is full of broken glass, from a window right above the bed, which had shattered all over his back. “I felt the glass implode all over me,” he said. “It’s a miracle that all I got was this small scratch,” Ilan told Sderot Media Center. A piece of broken glass struck Ilan’s back, leaving behind a red mark. Both Ilan’s parents were home when the rocket struck. His father raced into Ilan’s bedroom after the rocket struck, picked his son up and carried him outside to safety. “At that point, I didn’t even realize that the rocket hit right outside our home,” said Ilan, who is 18 and getting ready to enter the army. Shula, Ilan’s mother, looks at her son tearfully. “I never expected this to happen to us during a ceasefire,” she said. The family was sitting outside in the front of the home to cool off from the heat of the evening when the siren sounded. The back of the Dahan’s home suffered severe damage from the rocket blast. Broken glass and debris litters the floor, while holes from rocket shrapnel rocket mark the ceiling and walls. Outside, the Dahan’s shelter is also covered with shrapnel marks. Sderot home damaged in Qassam attack on Tuesday, May 19. The rocket explosion also damaged the home next to the Dahans. Family members from both sides suffered shock, as did neighbors further along the street. Several people were treated for trauma on the scene. The rocket attack comes around the same time that the Sderot Mental Health Center is shutting down. Dr. Adrianne Katz, the head of Sderot Mental Health told Sderot Media Center that the mental health center is closing due to budget cuts. The Sderot Mental Health Center has provided therapy treatments to thousands of Sderot trauma victims and has 5, 500 patients on file. The Gaza rocket attacks on Sderot come after the meeting between Israeli Prime Minister, Binyamin Netanyahu and US President Barack Obama in the White House on Monday. Tuesday marked the fifth month since the Hamas-Israel ceasefire in mid-January. During that time, over 210 rockets have been fired from Hamas-controlled Gaza at Israel. Security officer digging for the Qassam with Sderot mayor, David Bouskilla upfront. Promises from then candidate Obama. Promises to secure the Jewish vote. But in reality Obama is anything but sympathetic to the plight of the people of Sderot and Israel. He is more concerned with his image and prestige in the Muslim world than any thing else. It is accepted in the Muslim world that there is only one solution to the problem, the total destruction of Israel, Western civilization, and the death to each Jew worldwide. That is the true goal of the OIC, Arab League, the Palestinian Authority, Hamas, and Hizbollah. Prime Minister Binyamin Netanyahu vowed at the Mercaz HaRav yeshiva in Jerusalem Thursday night that the Israeli flag will continue to fly over the Western Wall (Kotel). The first prime minister in years to appear at the venerable yeshiva on Yom Yerushalayim (Jerusalem Day), he ignored U.S. President Barack Obama’s apparent trial balloon that he wants to see the United Nations flag fly over the Old City holy sites. This is a proposal that will never be accepted by the Jewish Nation! Either President Obama is a dim-witted idiot or he is stupidly naive. You choose. Don’t be silent on this. Do something. Write a letter to your local paper, call Congress in protest, call the President in disgust, or sign up for SMS Alerts. And please find it in your heart to donate to the Sderot Media Center. Without them, the people of Sderot would have no voice. Just click on the logo at the top or bottom of this post. And remember to keep the people of Sderot and Israel in your prayers.